Linda provides consulting services to organizations in human resources, organizational systems and development, mediation, leadership and performance coaching, dysfunctional workplace behaviors, and anti-harassment and civility. She excels at helping leaders discover strategies to more effectively manage dilemmas and supports them to create solutions to their organizational problems. Linda is an executive coach, as well as an organizational effectiveness and human resources consultant. She provides executive coaching in leadership, motivation, critical-thinking and survival skills in turbulent work environments. She specializes in helping executives overcome obstacles that keep them from achieving their highest potential. Linda is a certified mediator and is trained to resolve disputes between employees and groups. Linda earned her Bachelor’s and Master’s degrees from Ohio University, and attended Kent State University for postgraduate work. 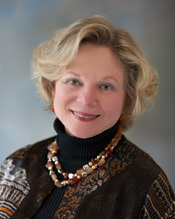 She has studied extensively with the National Training Laboratories Institute, the Gestalt Institute of Cleveland, and the Gestalt International Study Center. She holds a Professional Coaching Certificate (PCC) from the International Federation of Coaches (ICF), and a Gestalt Professional Certified Coach (G.P.C.C.) certificate. Earlier in her career, Linda worked as the lead executive in human resources management in an organization of over 1000 employees represented by seven unions. Linda is a faculty member in the Department of Psychology at Cleveland State University, and she teaches in both the graduate Diversity Management Program and the graduate Education Department. Her classes include: Conflict Management Across Differences, Facilitation of Diversity Issues, and Diversity Issues in Human Resources. She is also a faculty member at the Gestalt Institute of Cleveland, and is a certified trainer of Investment in Excellence and the Emotional Intelligence Inventory.